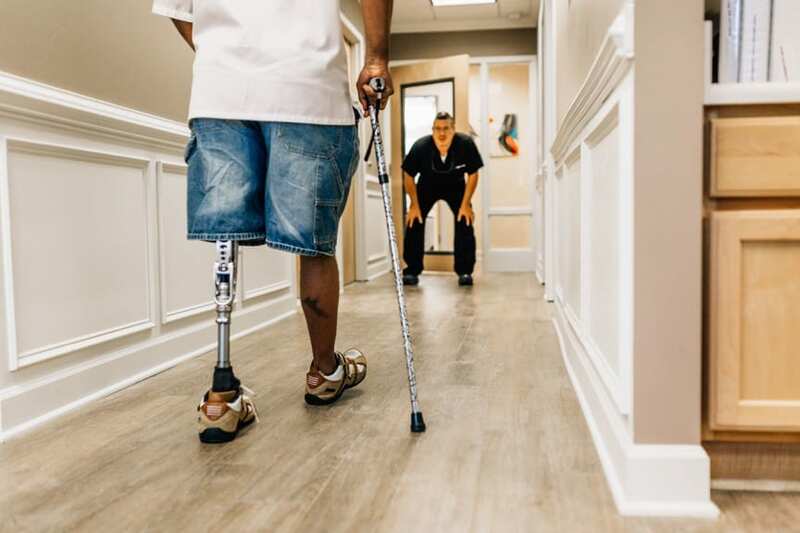 Imagine entering a welcoming, uplifting environment where you’ll receive the highest-quality prosthetics and orthotics care. An environment where every detail – from the facility itself to all the wonderful people who work there – is dedicated to helping veterans reach their healthcare goals. Welcome to Limbionics of New Bern. Our New Bern office empowers patients to get more involved and see improvements firsthand. Our gait-analysis systems videotape your current level of mobility. Patients can then watch the footage in patient rooms, letting them monitor progress and see what we’re looking to change. Please note that our office hours are by appointment only. If you would like a tour or free consultation, give us a call and our friendly office staff will be happy to accommodate you. Potential patients and family members are always welcome. Improving mobility is challenging enough. Wouldn’t it be nice to have some peace of mind? Our office staff will give you just that. 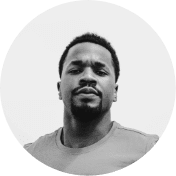 They’re passionate about helping you attain reimbursements, coordinate with healthcare providers, understand insurance coverage, and answering any other questions. 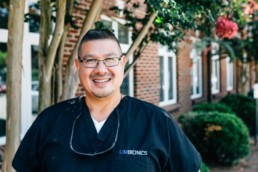 At Limbionics of New Bern, our practitioners understand that your healthcare goals are unique. That’s why they’re passionate about customized, comprehensive treatment. Whether you’re an elite athlete looking to compete or just looking for more mobility in daily activities, you’re in the right place. while you’re in the area. New Bern, North Carolina is a beautiful riverfront town set along the Trent and Neuse Rivers. The original capital of the state and the birthplace of Pepsi Cola, New Bern boasts over 300 years of history and an abundance of cultural attractions. This laid-back coastal town offers wonderful eateries, art galleries, and antique stores to explore downtown along the riverfront. Outdoor lovers can enjoy water activities, golf, or hiking in the Croatan National Forest. Go back in time by exploring historical cemeteries, housing districts, or the North Carolina History Center in the Tryon Palace and Gardens Complex. 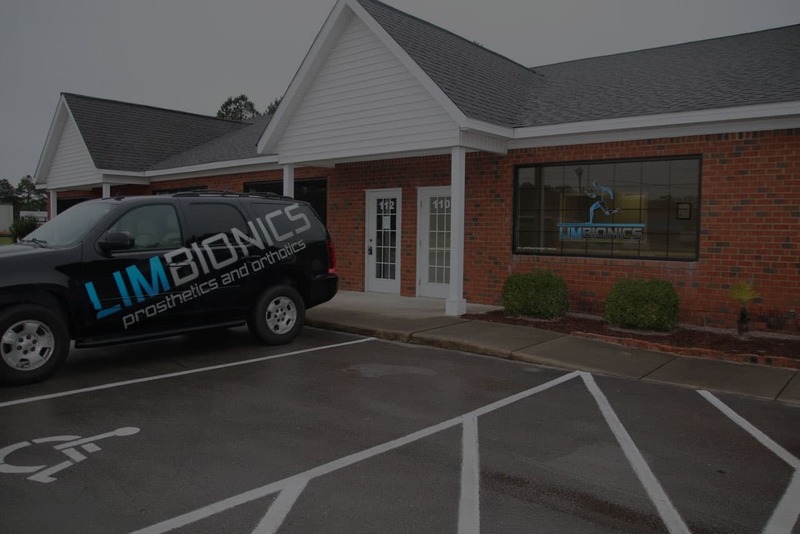 The LimBionics New Bern office covers the New Bern, Morehead City, Kinston, and Jacksonville areas. We are conveniently located a few miles west of downtown, just off U.S. Highway 17 South at the intersection of Rocky Run Rd. and N. Pirates Rd. As a physical therapist, I love working with LimBionics, and so do my patients! They are always so accommodating and do an amazing job! A Syme amputation is an amputation done through the ankle joint. The foot is removed but the heel pad is saved so the patient can put weight on the leg without a prosthesis (artificial limb). This type of amputation is indicated for foot trauma, infection or tumors as well as certain types of limb deformities when the foot cannot be saved. In those with medical conditions where the risks of surgery outweigh the benefits. If the medical conditions can be improved, surgery can be reconsidered. Poor blood flow through the artery that supplies the heel pad. Without good blood flow, the surgical wound will not heal. Lack of an intact heel pad. If there is any ulcer, wound or dead tissue at the heel, a Syme amputation should not be performed and a higher level amputation is recommended. Infection, tumor or trauma that involves the ankle. A Syme amputation will not adequately treat the problem so a higher level of amputation is needed. A partial foot amputation is often a result of advanced vascular disease, secondary to diabetes. A partial foot is characterized as an amputation occurring at the fore, mid or hind foot, not including the disarticulation of the ankle-foot, which is specified as a Syme’s. PFA’s are historically known to have a significant failure rate and various complications, including ulcerations, skin breakdown, contracture and proximal amputations. The knee disarticulation is an amputation performed between bone surfaces, rather than by cutting directly through bone. With this amputation, the residual limb generally can tolerate some weight bearing, providing a long mechanical lever controlled by strong muscles. By retaining a full-length femur the thigh muscles tend to be stronger, because they are released at their distal attachments, rather than bisected in the muscle belly. Rotationplasty is a type of amputation that is not very common but typically is used is in cases of osteosarcoma (bone cancer) and some congenital defects in the lower leg. The rotationplasty involves a partial amputation of the leg above the knee followed by The lower leg and foot being rotated 180 degrees, the length is adjusted, and the tibia is then fused to the femur. The foot is now located where the knee used to be, with the heel now in the front and the toes pointing backwards. The ankle is now being used to function as the knee joint. This procedure is beneficial to patients because it creates the potential for more mobility and function as opposed to a typical above the knee amputation. These prostheses are very intricate and much different from a tradition style prosthesis. A hip disarticulation is a surgery that removes the entire lower limb at the hip.. It is most commonly used in cases of cancer, trauma, and sometimes severe infections. This is not a common amputation but can be treated with a prosthesis if the patient is highly motivated to walk again. These prostheses are very detailed and difficult. We are able to treat those with hip disarticulations that desire to walk. Some patients have lost multiple extremities and vary greatly from one person to another. We understand that those with multiple limb loss that there may be more therapy needed and rehab mentally as well as physically and we are able to form a full team for the optimal outcome. We are here to help support you through this rehab process and all of its aspects. LimBionics has treated many with different rare congenital abnormalities that did not fit in a category for treatment. These cases took us designing “outside the box” to try and solve the issues and help them regain their function and achieve their specific goals. Upper extremity amputations are often very difficult to handle physically and mentally. This is generally due to a number of daily tasks that require the use of our arms. This is a life changing amputation that takes a detail-oriented, highly trained and caring Prosthetist to ensure a comfortable and well working upper extremity prostheses. These prostheses can be simple, such as a body-powered prosthesis with a hook, to more advanced technology such as myoelectric and bionic hands or wrists. Prosthetic hand options vary from those that only open and close, to those that can dynamically adjust, allowing users to hold a pencil, operate a computer mouse, or hold wine glass. Upper Extremity Prosthetic designs vary based on the level of amputation. Some patients are considered as partial hand or partial finger amputees, while others have above or below elbow amputations. Limbionics’ practitioners are experienced in these differences of these distinct amputation levels and best practices for successful prosthetic intervention. Our Prosthetists are able to provide some wonderful technology such as the I-Limb Quantum hand, Naked Prosthetics partial finger prostheses, I-digits for partial hands, Bebionic3 hand, Michelangelo hand, Utah arm, and any other prosthetic device on the market today. LimBionics practitioners specialize and enjoy creating sport or activity specific prosthetic arms for our clients. For example, we are able to create specific upper extremity prosthetics for gymnastics, fishing, shooting, archery, photography, playing guitar, weightlifting and any other activity you wish to perform. It is our goal to get you as active as you would like to be and return to any and all activities you enjoy. Our practitioners stay on the cutting edge of the newest prosthetic technologies and have an extensive knowledge of available options, devices and designs. No two people are the same, so we treat each patient as an individual and customize the treatment plan to address their specific needs. LimBionics is here to help you through this process and would enjoy speaking to you about how we can assist or what options are available. We have taken on many challenging cases that others have not been able to do so we are proud to help or advise anyone needing assistance. We are certified and able to provide all of the following prosthetic devices below. Click any of the images to find out more about that specific prostheses. Our practitioners are happy to discuss treatment options with you and help you decide if one of these prostheses are right for you. 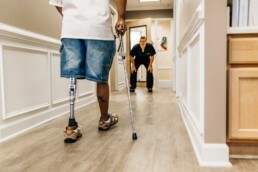 If you’re not sure what your insurance will cover or what type of prostheses you need, please call us to speak with a Prosthetic Treatment Expert to get the answers you need. You can find out full contact information HERE or give us a call at this number (919) 908-8976. Lower extremity amputations are significant life altering events. Without prosthetic intervention, many amputees find their quality of life is drastically impaired. Providing an amputee with a prosthetic leg allows them to return to walking and immediately improves their quality of life. After training and learning how to use their new prostheses, our patients are able to do the thing in life they love to do. It is an amazing and inspiring process that we are very passionate about! As seen in the anatomy photos above, there are different levels or types of lower extremity amputations. Each type of amputation presents its own challenges to overcome for the patient and the practitioner. This is where it is critical to have a Prosthetist that truly cares and listens to their patients. Depending on the level of amputation and ability of the patient, the design, function and type of prostheses will vary. 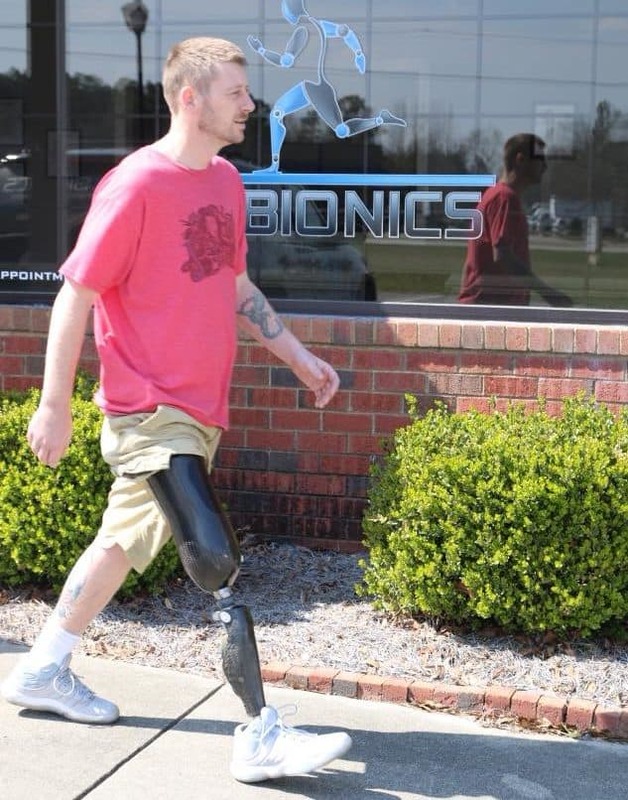 Every patient presents with their own unique needs and our Limbionics’ practitioners provide personalized treatment solutions that are custom to each patient. No two prostheses that we design and deliver are ever the same. For optimum results, a comfortable and well-fitting socket design is crucial. Also, selecting the right components and prosthetic parts are important to the fit, function and comfort of a patient’s prostheses. Limbionics’ practitioners take this role very seriously and we are dedicated to giving our patients the best prosthetic treatment possible. We are experienced in the full spectrum of prosthetic intervention, from basic prostheses, to advanced microprocessor and bionic technology, to specialized sport specific prostheses. One important core value of our company is to stay on the cutting edge of technology and be able to provide these new prosthetic advancements to our patients. Many of LimBionics of Durham’s patients are active people who live very healthy lifestyles. Many enjoy sports and athletics even after losing a limb, and some are world-class athletes. Whether you are just starting a sport or are a world class athlete, we are able to provide exceptional custom athletic prostheses. Whether you enjoy running, swimming, golfing, rock climbing, surfing, cycling, kayaking, kickboxing, martial arts, basketball, or any other sport, we can handle your athletic needs! Let us help you get back on track! A below-knee amputation, commonly referred to as a BK or a BKA, is surgically accomplished by cutting through the tibia and fibula of the lower leg. A large portion of BK amputations is due to peripheral vascular disease and poor circulation of the lower extremity. Although retaining the knee joint improves overall function and ability, muscle contractures of the knee and hip can inhibit recovery and physical therapy. A transfemoral amputation, commonly referred to as an Above Knee (AK) amputation is accomplished by cutting directly through the femur bone of the upper thigh. The primary prosthetic concern with this type of amputation is that the patient is required to control and manage artificial joints (knee & ankle). Also, weight bearing on the residual limb typically causes pain so the socket design must accommodate for this. The wrist disarticulation is an amputation that occurs between bone surfaces, rather than by cutting directly through the bone. This type of amputation provides a long lever arm to aid with control of the prosthesis as well as maintaining the ability to pronate and supinate. When the styloids are preserved it assists with prosthetic suspension. Wrist disarticulation is particularly favored in pediatric amputations to reduce bone spurs and issues of length. Partial hand amputations can include fingers or part of the hand. Technology advances have allowed for great improvements in the treatment of these amputations. We are now able to provide cutting-edge prostheses for those missing a single finger, multiple fingers or a portion of the hand. Silicone fingers are commonly used but they are more cosmetic than functional. The partial hand amputations have numerous possibilities for care. 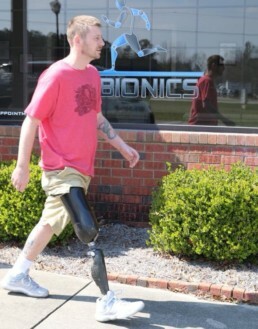 Give Limbionics a call and we can discuss your options. Transradial amputation, commonly referred to as a below elbow amputation, is when an amputation occurs between the elbow and wrist. In this type of amputation, we are concerned with restoring motion of the wrist and hand. Transradial amputations are the most commonly treated upper extremity amputation. There are many prosthetic treatment options available for prosthetists to customize and personalize the patient’s prosthesis. Transhumeral amputation, commonly referred to as an above elbow amputation, is when someone is amputated between the shoulder and the elbow. The main concerns when treating this amputation is that we are replacing the elbow, wrist, and hand so we need to try to allow the patient to not be burdened with the excessive weight of a prosthesis and make it easy to use the motions of each joint easily.